Things Without Arms and Without Legs » 159: What’s a thing to be? Though hard to narrow down, here are my 6: Worries, Bad, Small, Try, Good enough and After the Convention. Is there a way non-conference attendees can get their hands on a copy? Thanks Alison, and yes! Non-coms will be able to get their hands on a copy, although it will probably be after World Con. Hmmmm. My thoughts, at the moment, are #29 (MY FAVORITE, SO OF COURSE), #41, #47, #85, #141, #147. Good Enough? is my favorite. Thank you for all your votes so far. My heart sings with joy to see people sharing their views (it’s like you really like it, I mean I know people have said it, but still, eeeeee!!!!) Voting will close Monday at midnight, unless folks give me a pressing reason not to. I like Good Enough?, Belief/Evidence, Worries, Beginner’s Mind, Practice, Try, and Missing You for my votes! Try; Missing You; Belief (more so than Evidence); and all my other 5 votes for Small! Final day of voting, here’s the update! I vote for Spoons and The Beginner’s Mind. The others are sweet and made me smile, but I like ’em twisty. Thanks Manny. Your timing is amazing. Now that I have two extra slots I was thinking about which comics with 4 votes should get the love. “Small” was added to the roster and matches with your wishlist. 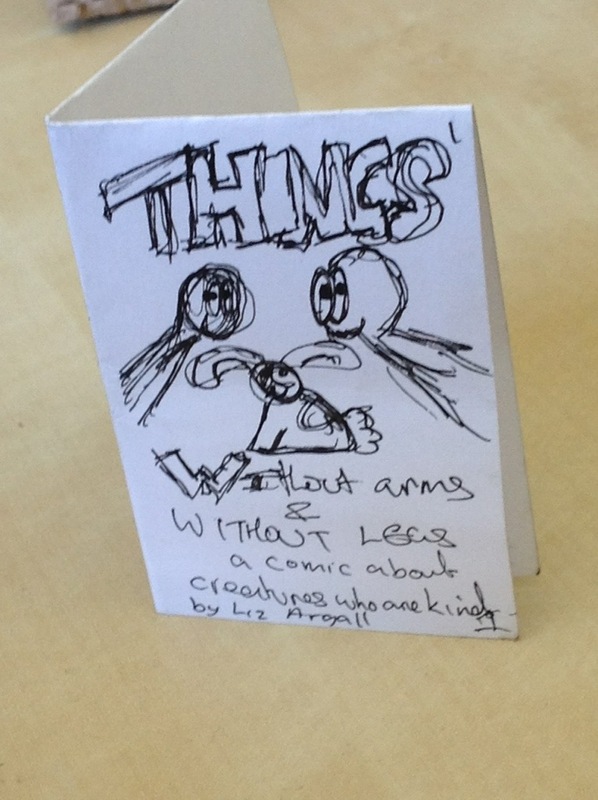 If you have not already received a Things comic please e-mail liz@lizargall.com and I will post you a comic anywhere in the world.